The apocrypha is a selection of books which were published in the original 1611 King James Bible (KJV). These apocryphal books were positioned between the Old and New Testament (it also contained maps and geneologies). 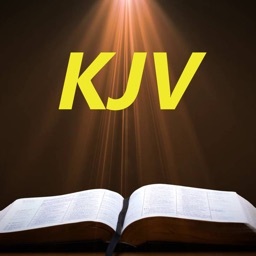 The apocrypha was a part of the KJV for 274 years until being removed in 1885 A.D. A portion of these books were called deuterocanonical books by some entities, such as the Catholic church. 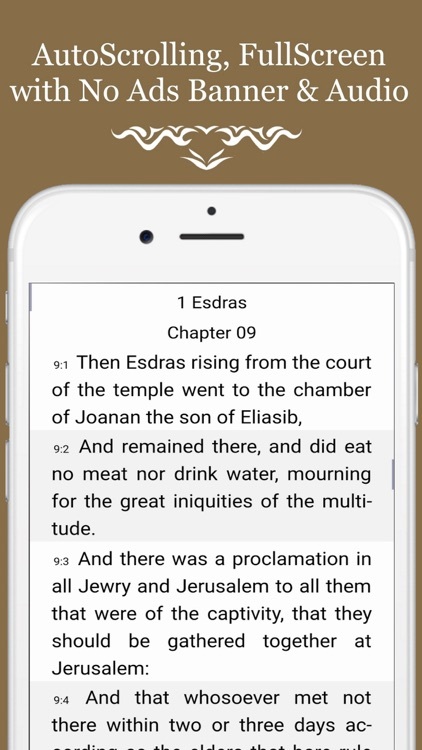 The 70 missing verses in 2 Esdras are not part of the King James Version Apocrypha, but are revealed in the Cambridge Annotated Study Apocrypha -edited by: Howard C. Kee. These verses are also available in the NRSV Holy Bible with the Apocrypha-by Oxford University Press. + No ADS! The purchase of this app is to remove all ads. + Audio: TTS (Text-To-Speech). Have the books read aloud to you or listen to it as you read along. + All OFFLINE! There is no need for an internet connection. 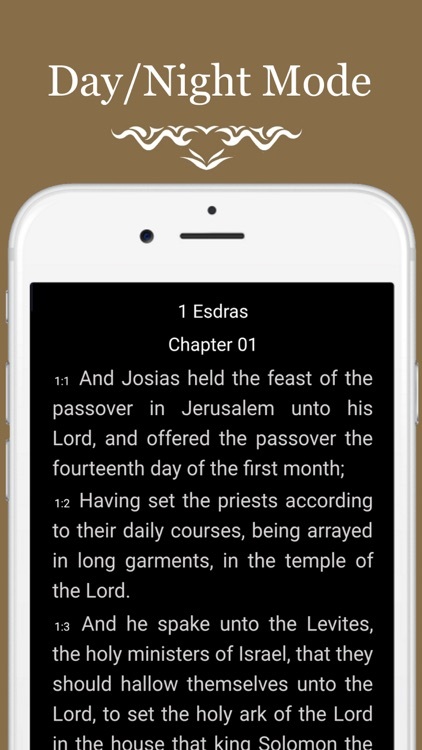 + Auto-scrolling in a single page permits continuous reading through the entire book without having to flip a page or touching the screen. + Full-Screen mode is available. 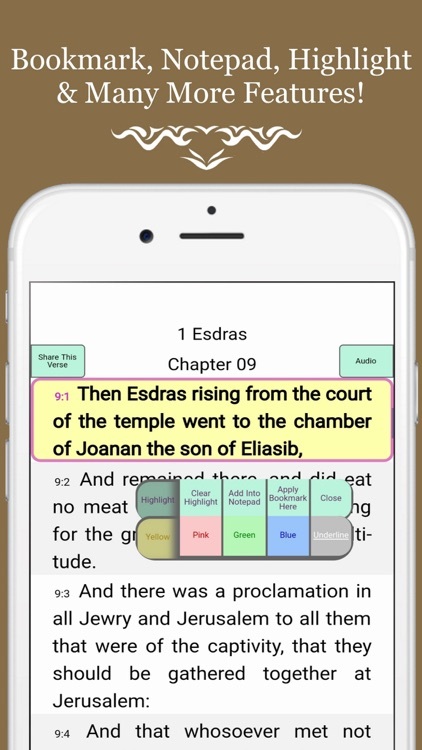 + Bookmarks can be placed at any place in multiple books. 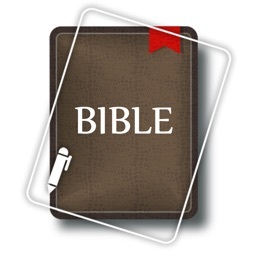 + Notepad: one click on any verse number to copy and paste that verse into the notepad. + Notes can be saved and transferred. + Highlight: 4 different shades and 3 different levels of intensity to choose from. + Big Fonts and Bold Fonts are available! Easy to see huge fonts. + Searchable keywords within each book. + Feel free to adjust the font size, word spacing, line height, background color, and page margins for optimal reading. + 3 verse layout modes. + Resume button that allows you to resume where you last left off. + Landscape or portrait orientation available. 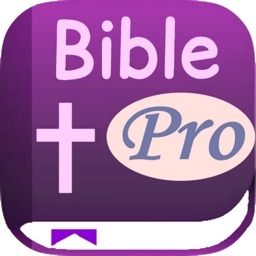 + Free Bible, The King James Version (KJV) & The World English Bible (WEB) are available to download. Apocrypha / Deuterocanonical: Bible's Lost Books includes these books: 1 Esdras, 2 Esdras, Tobit, Judith, Additions to Esther, Wisdom of Solomon, Sirach, Baruch, the Letter of Jeremiah, Prayer of Azariah, Susanna, Bel and the Dragon, Prayer of Manasseh, 1 Maccabees, 2 Maccabees, and Laodiceans. Many claim the apocrypha should never have been included in the first place, raising doubt about its validity and believing it was not God-inspired (for instance, a reference about magic seems inconsistent with the rest of the Bible: Tobit chapter 6, verses 5-8). Others believe it is valid and that it should never have been removed- that it was considered part of the Bible for nearly 2,000 years before it was recently removed a little more than 100 years ago. Some say it was removed because of not finding the books in the original Hebrew manuscripts. Others claim it wasn't removed by the church, but by printers to cut costs in distributing Bibles in the United States. Both sides tend to cite the same verses that warn against adding or subtracting from the Bible: Revelation 22:18. 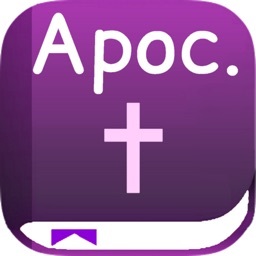 The word 'apocrypha' means 'hidden.' Fragments of Dead Sea Scrolls dating back to before 70 A.D. contained parts of the apocrypha books in Hebrew, including Sirach and Tobit. 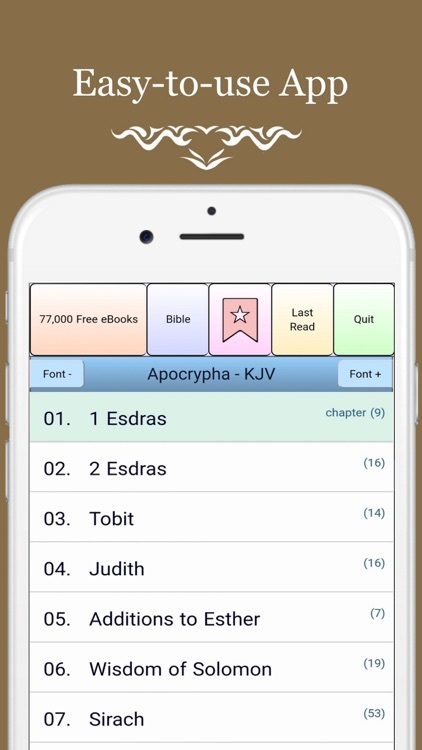 The King James Version (KJV) & The World English Bible (WEB) are available to download within the app for free. With more than 20 English translations of the Bible currently available, the King James Version (1611) is still considered by many scholars to be the most influential and popular version. In 1604, King James I of England authorized the re-translation of the Bible into English. 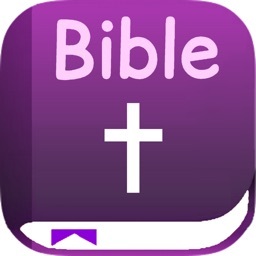 The World English Bible (WEB) is a complete translation of the Holy Bible in normal modern English. 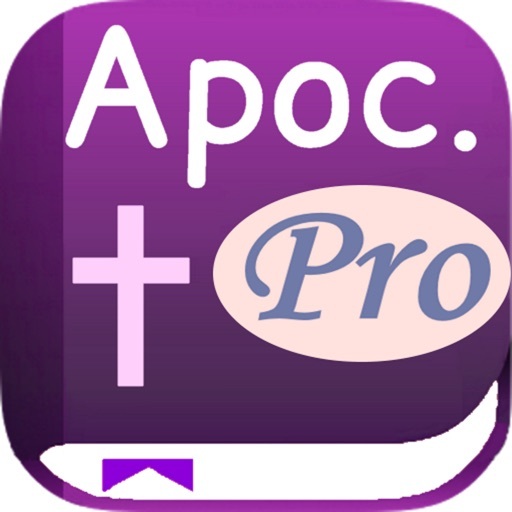 Thank you for using Apocrypha / Deuterocanonical: Bible's Lost Books PRO.